Pastor Wilmar tried and tried all morning to get hold of Dario, or his mu: but sadly, wasn’t able to. Last night to lunchtime today was probably wishful thinking on our part that we could manage it, but someone like Dario moves about a great deal (he was recently shot in the leg, one of the reasons I so wanted to see him, as he’s due surgery next week). The lifestyle of and the ‘status’ (if that’s the right word!!) of guys like hi is incomprehensible to people outside of a culture like this: it’s pretty hard for someone like me, who’s been here a lot, to comprehend, so – next time, which, when all’s said and done, is only 11 weeks away…. (25 October I’m back here). For my ‘golden’ anniversary visit, the 50th time I’ve been to Cali in 16 years, bearing in mind that it was a different sort of visit, as I wrote in the last blog, it was pretty amazing. What was it that Jesus said to John’s disciples about the coming Kingdom that he was here to introduce? Matthew 11: 4 Jesus answered and said to them, Go and show John again those things which you do hear and see: 5 The blind receive their sight, and the lame walk, the lepers are cleansed, and the deaf hear, the dead are raised up, and the poor have the gospel preached to them. 6 And blessed is he, whoever shall not be offended in me. This week, the blind received their sight, the lame walked, the deaf heard, the poor heard the Good News of the gospel: didn’t quite manage any the lepers (I’ve never seen any here! ), and we weren’t introduced to any dead people… a stroke victim got out of his wheelchair and walked out of the church, leaving his chair at the front of the church, and a lovely elderly man of 81 was not only re-visioned (his sight was fully restored), his back healed, so he could walk into the NEW vision and dream that God had for him for the future. Oh for a church of people like him, nowhere near satisfied with retirement, just a raging passion to work for the King of Kings. So it’s been a wonderful 11 days: roll on 11 weeks’ time! BUT – a week after I get home, on Wednesday morning, I head back for the airport once again, this time headed for my fantastic friends Benny & Paty Osorio, in Mexico City. It’s always great there, too, so bring it on Lord! Then home again 21 August, only to head back to Heathrow on 6 September, en route to Australia, so I reckon these 11 weeks will fly by! ….the meeting with Dario happen, that is….trying to get hold of him is like trying to call BT, your bank, or any other such company that has menu systems longer than your arm! He has guys who filter his calls before they get to him, and, after seeming desperate yesterday for us to see him, his mum was being a little ‘awkward’ about it last night when Pastor Wilmar rang her. So, we’ll see. All the guys who have travelled with me over the years would tell you that I’d never take them anywhere PARTICULARLY risky, but me, on my own, I’ll happily walk up to the gates of hell if it means seeing someone saved. And God loves this bloke, Dario… yes, if it happens, it’ll be dangerous in the extreme, but it would be an amazing breakthrough in the ‘gang warfare’ culture that exists in so many Latino countries. Dario would be a particularly big cheese…. Whatever happens, I’m willing and up for it, if it happens or not. It’s certainly a darn sight more interesting than packing, which is another mandatory effort today! How I HATE packing….I often wonder how many weeks of my life, over the last 30 years, have been spent putting things in suitcases/travel bags, jigsawing them in perfectly only so that (probably) some border guard tonight will want to search it, and mess it up… ho hum. I’m one of those people, too, who has to unpack the moment I get home, I can’t stand seeing the bags sitting on the floor begging me to unpack them! Long, long flight tonight: Cali to Madrid (about 11-12 hours), then Madrid – London tomorrow afternoon, landing in London JUST too late to connect with the last flight to Belfast 🙁 – so overnight in London, then the 4 am rise on Wednesday to get to Heathrow for the first flight. Alan & Barbara are still in Washington, having had a pretty long layover – almost 2 days! – but they arrive in London crack of dawn tomorrow, and then home around lunchtime. Right now, I’m sorta envious of them, but I wouldn’t have missed Saturday night’s or yesterday morning’s meetings for anything. As this was a ‘different’ kind of trip, for Barbara to get to know Cali, meet people, and build friendships (for Alan and me, too), we ended up with a lot of meetings, and some astonishing miracles…. God is so, so gracious, kind, and prolific with his blessings, to me, to Alan & Barbara, to the countless people we’ve spoken to, as well, of course, to you. Thank you for your prayers and interest in this trip: it’s been great, too, as it’s opened numerous new doors for the 3 weeks October-November trip, and, even though I’m still here in Cali, I can’t wait to be back already! What more can I say….? Going home with a bang…. It was strange getting up at 3.30 am to say goodbye to Alan & Barbara, sad too, even though I’ll see them in a few days. Something happened this week that bonded our friendship closer (I feel, at least! – you’d better ask them if they feel the same! ): and though we’ve done very few meetings together, we’ve ended up doing a lot together in ‘spare’ time, and a whole lot of meetings into the bargain. Barbara loved her first time here, meeting a few old friends, some she’d met in real life in Ireland, others through the best side of Facebook, and seemed very at home here, and very relaxed. She was great in front of an ‘audience’ (congregation seems such an old-fashioned English word these days, huh? ), sharing her story, and her thoughts about Cali. 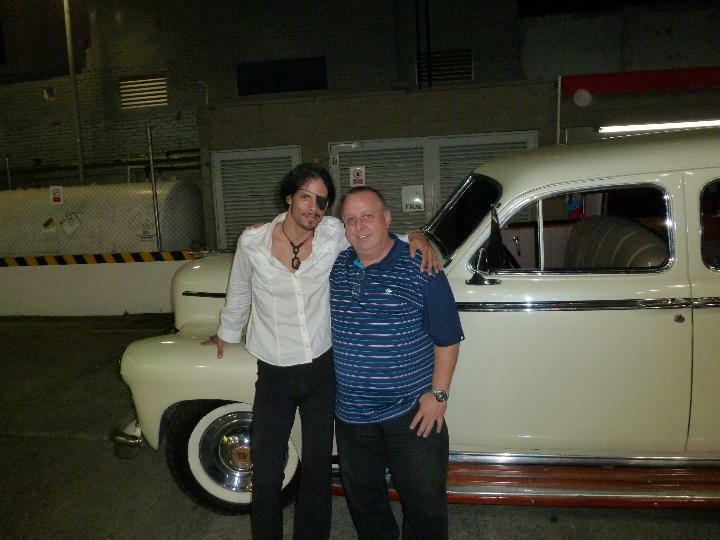 Alan was…Alan: he’s an amazing man of faith, insight, perception, and understanding, and they blessed many, many people. Could have done with them today, though! I was at a lovely church, way, way down south, in Valle de Lilli, I’ve been there in the past but not for some time. 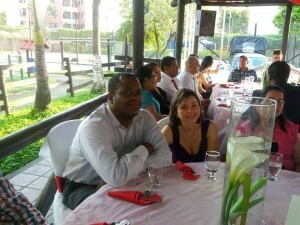 The Pastor, Rafael, is a lovely man, and I reckon that there were around 150-200 people there. The meeting began at 9.30, I got to speak about an hour later, and finished early – for me! – as I knew we’d have a lot of people to pray for: or rather, I’d have a lot of people to pray for! Prayed for the last person at just gone 2 pm, so a god 2½-2¾ hours…. poor Johan, the translator, he was more exhausted than me, as translation is an incredible ‘thinking on your feet in a second’ skill. I could go through lists of the names I remember, but to be truthful, I don’t remember that many. I DO remember some of the amazing things that God did, though (and for any sceptics/cynics reading this, and thinking it’s exaggerated, remember that Rafael, Pastor William Castaño, Johan, and others read the blog!). The first lady was partially sighted: saw perfectly. Countless arthritic people all said that their pain had gone, a lady with acute lumbar pain was healed at the second attempt(!) – the pain had diminished drastically after the first one. 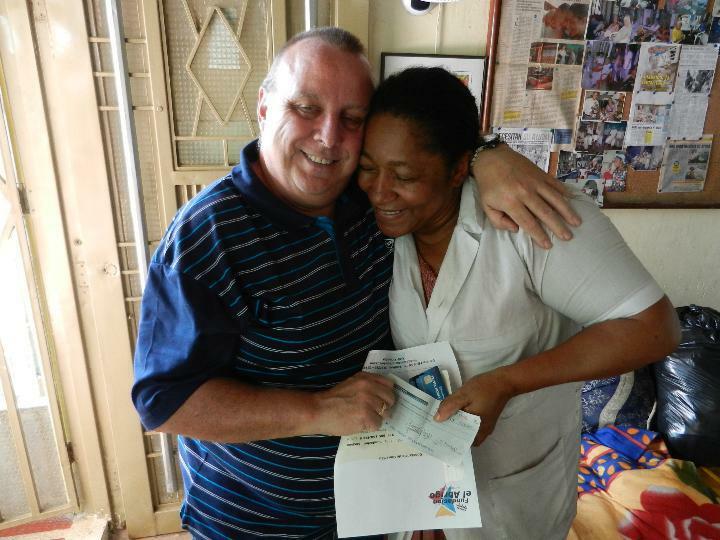 A lovely older man really blessed me – Alfredo. He’s the dad of one of the other Pastors of the church, and 81 years old. He had severe back pain, some of it from scoliosis, he’d had it for more years than he could remember, it massively affected his walking, and was also partially sighted. He ‘arrived’ for prayer, shuffling slowly, with the aid of a walking stick. Remember his age – I asked him what he wanted God to do for him. ‘I want to be able to walk easily, see fully, so that I can move into the new ministry God has got for me’… I asked him to get up, without using his stick, and walk to Pastor William: he did. Then back, then, as he walked away having hugged me, the church broke out in spontaneous applause for this amazing man of God who’d been healed in back AND sight….. Many people suffering financially got blessed: loads with pain in all parts of their bodies, went. More partially sighted people were healed – one with cataracts, and it was – literally – like shutters going up open her eyes one shutter at a time. She was over the moon (so was I!)! Johan reckoned that at least the first 20-25 were healed immediately, and he, too, was blown away by what he got involved in. Again, maybe more stories will come back to me overnight, but as you can see, it was a ‘typical’ Cali church meeting! But something made it even MORE astonishing: those of you who have read my meanderings here for some time, might remember that last November, I told a story about a guy named Dario, who’d come up for prayer, right at the end of the prayer ‘queue’: he’d had 30 surgeries in 15 months, and rather than asking him what was wrong (I knew what it was, instantly – you don’t have that many surgeries in such a short time for illness), I chatted with him, got to know him – and his bodyguard, Henri, from the Dominican Republic, for about 30 minutes. Then, having earned a bit of his confidence, I mentioned the surgeries again. He’d been shot, had been in a coma 26 days, no one thought he’d live, but he did….he’s the one when I prayed for him, put my arm round his – and Henri’s backs – straight onto guns. He was a ‘favela’ boss, ran ‘siccario’ agencies (the $10 killers on motorbikes). I asked him to give me his gun, as I believed it would set him free.He couldn’t, as he knew word would be ‘on the streets’ even before he left the church building. I prayed for him – and Henri – and a huge amount of healing of Dario’s body, and Henri’s back, were healed. He invited me to visit his ‘favela’ (google it! – lawless, drug/cartel areas of cities, especially here in South America), next time I was back. When I CAME back, Edwin, to whom he’d given his phone number – the first time in his life he’d given his phone number to anyone other than immediately family, or other favela leaders). had done some spring cleaning on his phone, and deleted it. I was SO disappointed. Well… in church this morning was his mum!!! She came up to me and said that Dario had wanted to come, but going out in daylight is difficult as so many want to kill him, but that he’d sent his regards, and said ‘hi’. Mum gave me his phone number….. you have go through like a menu of people to get to him, people protecting him. But it look possible that tomorrow, at mid-day Cali time, I’ll be going with mum to see him…. God’s got his hand on this man, that I DO know: and whilst my stomach might be doing a raindance as we go there, I really do want to see him… pray for me, please! Wow…. A night of miracles again! I was blown away by what God did tonight, so many people healed, some pretty hefty things, too. 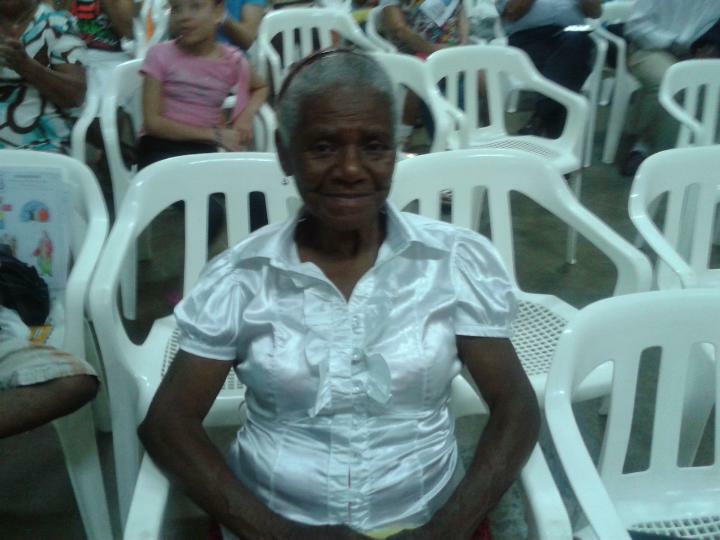 I was in a church in a barrio, Cristobal Colon, the church ‘New Vision Phildalephia’ (Nuevo Vision Filadelphia), pastored by an amazing lady, Fanny, aged 85, and – seriously – no more than about 4 feet 3 inches tall! It’s nice to feel tall, sometimes, an unusual experience for me. It’s not always easy when you’ve only met the translator (literally) 30 seconds before the meeting, and all you’ve said is ‘Hello, where are you from?’! God showed that none of the fears of how translation might work out, actually matters, as I reckon – and so did the translator, Maria-genia – I prayed for all 40-50 or so in the meeting. The forst up was a lady, Nina, with chronic pain in her stomach and colon, undiagnoseable by doctors, she said. All the pain went, instantly. 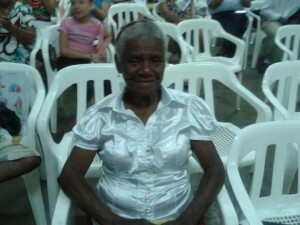 She was in the car that brought me home, and still praising god for her healing. A guy, Haider (guessing at the spelling! ), had a seriously calcified right ankle and sole of his foot, in great pain 24/7 – all the pain went, which means, I reckon, that the calcification had been reversed (that’s what I prayed, anyway!). He walked, stood, walked again, for a good 15 minutes after receiving prayer, and still no pain. A young lady, with a pretty hefty bend in her spine, great pain across her shoulders and back, was healed (told her to try to get scanned as soon as possible). Another, in the middle of a migraine (how many in the western world churches would GO to church with a migraine, I asked myself?) – healed instantly. A lady with massively reduced vision – she couldn’t read anything, particularly distressed that she couldn’t read her Bible, read instantly a number of verse (from Ecclesiastes, too!) in Maria-genia’s Bible. A lady with inoperable cataracts on both eyes, less than 40% vision, and next to no hearing in her right ear, saw and heard perfectly…. A lady with wrecked knees (here we go again! 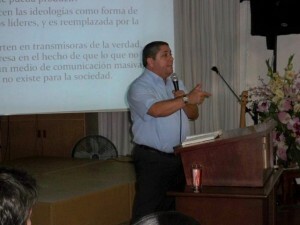 – the Pastor, too!!) and the horrible ‘sciatic’ type dragging pain down her right thigh, had all her pain go, and her knees with no pain at all (mine were killing me by now!!!). The pastor, arthritic from head to foot, and a fall that had fractured her spine a year ago (I guess as she’s 85 the medics probably think it’s not worth doing surgery) – her hands, obviously and seriously arthritic, and the middle finger of her left hand with that strange ‘ligament lock’ that I’ve seen quite often – the finger doesn’t straighten if she’d closed her hand and re-opened it – was healed, all hand pain, back pain gone…. Hernando, who lives on the streets, heard me speaking as he went past, and came in, and found faith in Jesus. He had a Bible, so doubtless a backslidden Christian. I can’t remember any more names, if I do, It’ll give me more to say tomorrow! More ears opened, virtually everyone prayed for was healed, one of those nights, like I said in the earlier blog, where I’d happily have stayed home – or gone to Wilmar and Marlene’s for a meal, like Alan & Barbara did – and then God turns up BIG TIME. I’m so, so blessed to be doing what I do: even the knee pain now is worth it for what God did tonight, and it still – even after 30 years – blows me away, every single time. So, 10 30 pm now, relatively early home from church, but A&B have gone to bed as they’re up at 3.30 am to begin the long haul home: I’ll be up to say goodbye to them, it’s going to be so strange without them. It’s been fantastic being here with them, they’re such a great couple, and I’ll miss them – until Wednesday, at least, when Alan’s picking me up at the airport! A reasonably early church service for me tomorrow, I’ve no idea where, at 9 a.m., so maybe, just maybe, I’ll be home by 1 pm! Then I’ve got a pastor and his wife coming to pick my brains…that shouldn’t take long then!! ‘Transformations’ was the name of a video that first brought Cali to ‘fame’ other than for it’s somewhat more salubrious history of drugs and violence. It trumpeted ‘the Cali Revival’ – and effectively put an end to what was NOT – then – revival – merely the foundations for a revival that God wanted to bring to redeem this amazing city. Back in the late ’90’s, it told of massive drops in the crime rate, and all sorts of other true, but grossly overstated things, that knocked what was beginning on the head. The tragedy with calling any move of God a ‘revival’ is well-known historically. As soon as man gets his teeth into it, certainly in the present generations, it seems to all peter out.Look at Florida just a few years ago – Lakeland and Brownsville in the last few years. What WAS beginning here in the late 90’s was a working together of over 300 pastors, who met ‘as one’, made decisions ‘as one’, and deferred to each other with no one wanting to be the ‘leader’. Some pastors, because of the video, became well-known, and began, for the first time in countless generations, to be invited from Colombia to the ‘great western-world’ Christianity, and ended up splitting the pastors group asunder as $$ poured into a FEW churches…. Some years later, the move of God began again, but it was the ‘small church’ pastors who started to see God doing great things. I’m not denigrating the big churches, but what was happening here before the video came out has never occurred again. It’s those smaller churches, and the tough and difficult areas, that I especially love going to, places where it is almost a ‘draw-dropping shock’ to congregations to see a foreigner walk in to their church. I’ve had people want me to go to 40,000+ churches in other parts of the country (I guess the offerings might be nice!) but I’ve always wanted to go the ignored, dangerous-situation churches, and stay ‘under the radar’. Yesterday, Alan & Barbara went to a cell group meeting of my favourite church in the city: just a handful of people of there, but the kindness, hospitality, and generosity of spirit of the people made it a wonderful evening. They went for 8pm, were home after midnight, having shared, and prayed for everyone, then been blessed with toasted ham and cheese sandwiches! (I wonder if anyone feeds the ‘big’ tv platform preacher with sandwiches? I doubt it – nor would I swap it!). It was a time of blessing for the church folk, and for Alan & Barbara. Steak & chips where the steak is infinitely greater than the chips! and his lovely daughters, to consume positively mountains of food…. We managed, of course, being polite Christian Brits! Tonight, I’m in a church goodness only knows where, and the same tomorrow morning: in truth, I’d much rather ‘bow out’ having seen God do some amazing stuff in the last few days. and, when I went out to where the miracles happened the other night, I’d said to Alan, ‘I’ve never felt less like going out to preach in my life’…. so God makes it worthwhile. I feel a bit like that tonight, especially as it’s ‘odd’ seeing as Alan and Barbara, who’ve had a great time here, and it’s been wonderfully being here with JUST them, leave at 4am tomorrow morning to make their way home. I don’t leave until Monday, that’s the way our different bookings worked out, so it’s strange to think of them gone. I’m sure tonight will be great, and tomorrow morning, too. All I know about tonight is that the church is led by my friend Francisco’s own Pastor and mentor, Pastor Fanny, and she’s a mere 85 years old…. I’m a young pup in comparison!! Chicken AND soup, as opposed to chicken soup! Laughter, tears, bear hugs, amazement, awe, delight, blessing…. All of those adjectives and more apply to any visit to this amazing lady’s home and ministry. This afternoon, we went – Alan, Wilmar, Jhon, and me – to see her, to see what changes and additions had been made to her home, following the generosity of so many people. The ‘original’ house has had the kitchen totally renovated, with the addition of fridges, freezers, washing machines, and a cooker – thank you, everyone who contributed. The ‘new’ house is fully occupied by more of Ana’s ‘babies’ – thank you again to all who have given to this amazing development. Ana has 77 babies at the moment, ranging in age from late 60’s to 99…..what is more astonishing about her home, is that it has no ‘aroma’ of being an old people’s home: it is immaculately clean, the people dressed in nice, fresh clothes. The babies are always as delighted to see me and whoever I take with me, as Ana is, and as I am to be there. As I went through the steel gate at the front of the house, there was spontaneous applause and cheering! What blesses Ana the most, it seems, is not only the level of support she’s received from people I know, but the fact that I – and others – keep going back to visit. Bear Hug, broken ribs, neck, and suffocation! The hugs, the crying, the wailing, the praying….. it is heart-wrenching to see what such support means to her. She spent most of the time after being given the money in shock, silent (unusual for her! ), and praying in whispers thanking God for his love, and answered prayer. Ana is also raising a young lad in that home: Cristian. I’ve met him before, but saw a bit more of him today. He’s 9 years old. He is a product of his mum being raped, and she died when he was 5 months old. 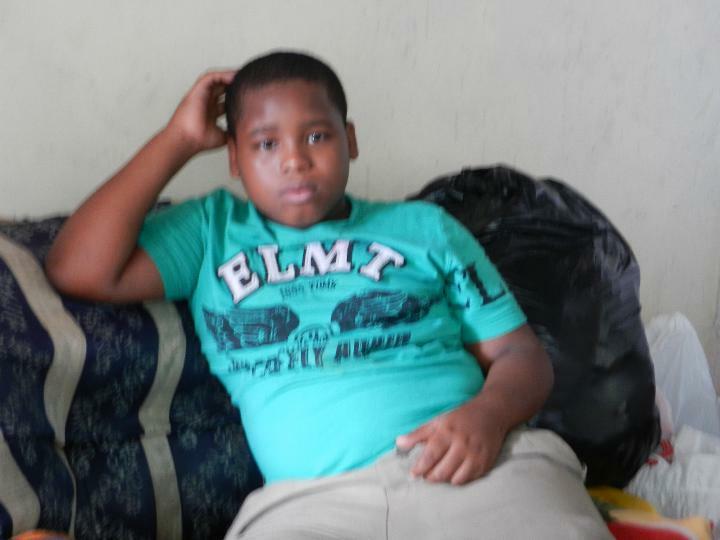 Ana took him in, he’s a great kid, full of life and energy, and shows no signs of being raised with over 75 septuagenarians and older, around him. I saw again today, for a little longer than previously, Ana’s son, Juan Mauricio. 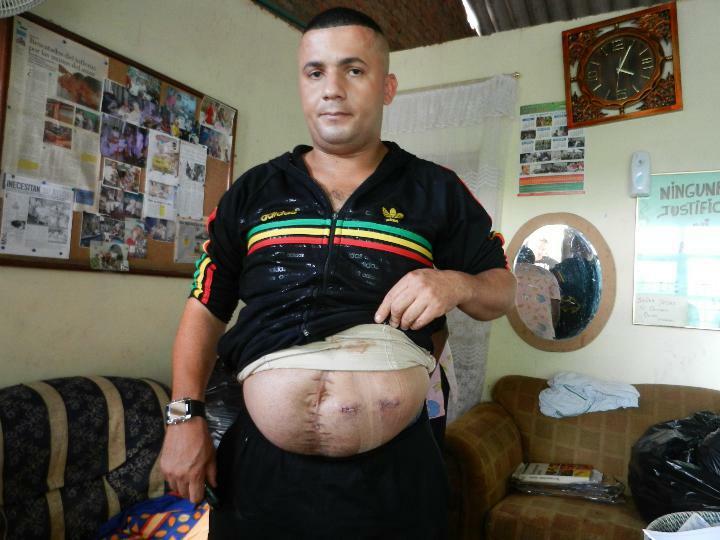 To give you an idea of the sort of locale she lives in, and why it’s so dangerous, Juan Mauricio is a taxi driver – or rather, was a taxi driver: 8 months ago, his taxi was ‘ambushed’ by some young thugs, just a few streets from Ana’s house, demanding the keys to his car. He refused. So they shot him, 5 times in the stomach, and he all but died. Gruesome pictures next – but life in Cali, whilst improving beyond recognition in some areas, is still a …er….demanding place, that requires a lot of common sense about where, when, and how you go…. 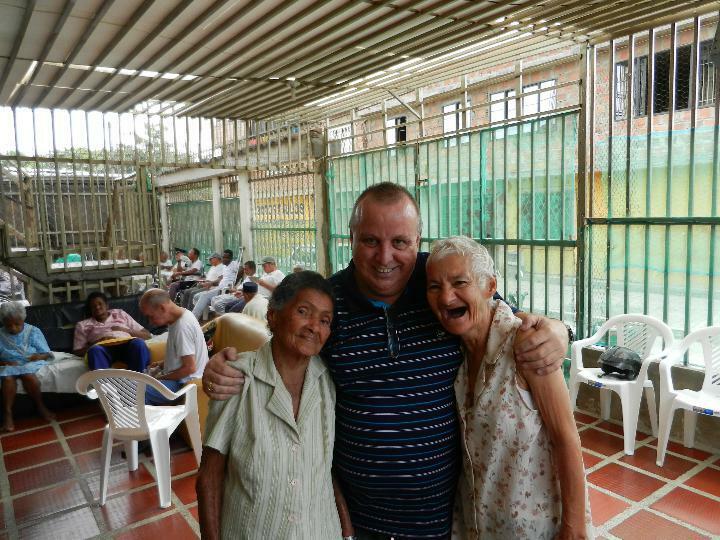 Graciella (99) and Amparo (97)… happy as sandboys! and has been in the home for 4 years. The police brought a 97 year old lady to her (they just turn up with them, as do ambulances) in December: she had no identification at all, and no name that she knew she’d ever been known by… so Ana ‘christened’ her Amparo, and it was a delight to meet them both. Amparo does a neat line in performing the salsa, her knees doing things that mine couldn’t – yet! – and both are really well cared for, and spotlessly dressed! It is an amazing place: emotionally so draining, yet there is peace, love, and compassion there on a level I haven’t often seen anywhere else. 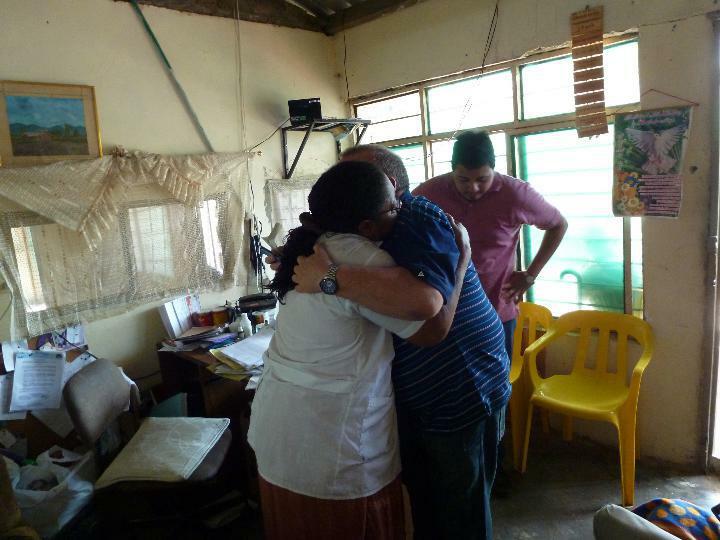 It’s such a privilege to be involved in Ana Beiba’s ministry, and to have her friendship. Thank YOU, all of you have, over the last year, contributed to her cause, and if you can continue to help, she would eternally grateful. She needs about £2800 for the labour to totally convert the new house, so she can double her numbers. Thank you for enabling me to have the privilege of being the one who can take your blessing to her. This morning, Alan & Barbara were at a ladies meeting, about 75 minutes south of where we stay: organised by friends Diego & Pilar Reyes, at the home of the Colombian boss of Johnson & Johnson. They had a brilliant morning there, and had opportunity to pray for the 17 year old son of the family, who is pretty acutely autistic. Alan told them the story of Oscar Logan, from Bangor, and the Hall boys from Melbourne: always so encouraging to hear testimony of miraculous transformation for something the ‘experts’ say can’t be ‘cured’. We celebrated a great two days with a meal at the wonderful little French bar, Absenta (Absinthe – illegal in the UK of course! 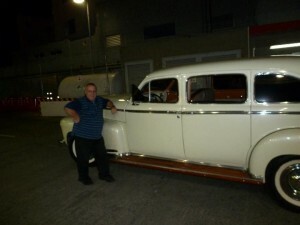 ), over the road from our apartment, with a lovely meal, and a complimentary glass of Buchanans, though A&B declined. I ought to tell you I declined too, but I didn’t! 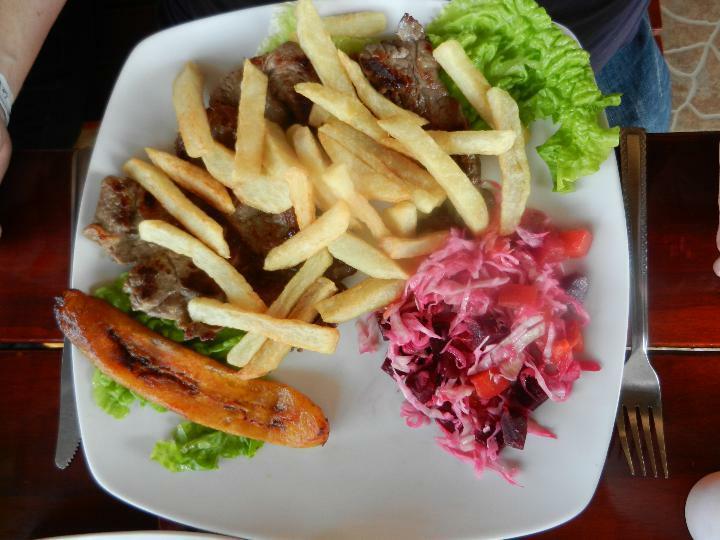 It was delicious…. 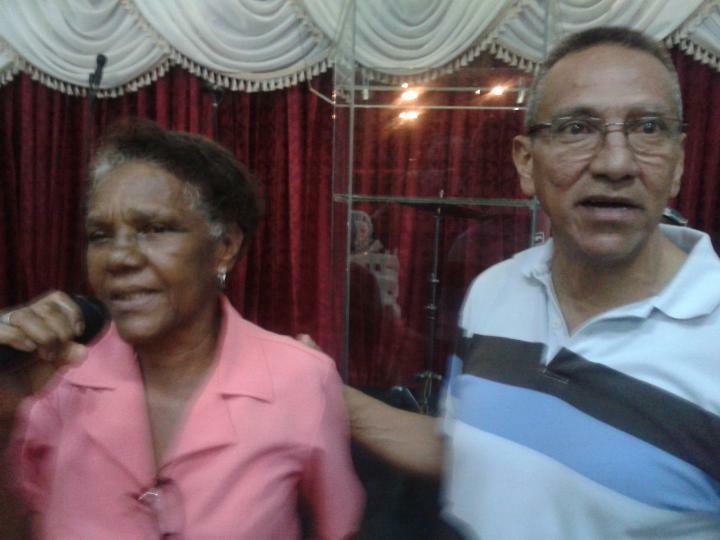 …stomach & womb diseases & infirmities healed, multiple people with arthritis…. It’s probably crazy to sit down and try to write a blog at midnight after a totally exhausting evening, but the post last night ha so much good stuff to report, but I missed a lot ‘cos I was tired! Wilmer Albeiro Murillo Ramirez we are really surprised and grateful for God’s presence in our church tonight, and being able to share with you this time. We were very edified and blessed. We saw God healing people and manifesting a supernatural way. Thank God for their lives. It’s terrific when the pastor responds to confirm the presence of God, and the miracles! I’ve said before that I’m very conscious that some people ‘imply’ that these stories are made up, fictional, or at best, exaggerated. I can promise you they’re not! A lady – young-ish – had terrible problems with her stomach, bowel, and womb: was in intense pain, and was healed in seconds. So many have stomach disorders here, I guess the poverty dictates diet, even eating times, so to see them healed is such blessing. One lady, beginning with migraines at the top of her body, and ending with numb toes the other end, arrived for prayer, hunched up with pain. Within moments, she was lifting and turning her head from side to side, stretching neck muscles, raising her arms, and walked away pain-free…. There’s an English ‘good friend of a good friend’ who’d come to Cali to visit a friend of his who’s lived here for 12 years, but also, having heard me speak in England, and knowing my great mate, Mark Hendley, from Maidstone, was in a place where he’d just found his faith had waned somewhat, having evangelised many times on the streets of Brixton, South London, with no success, and having never seen – personally – anyone healed. He was with me on Sunday, and then he spent the next 3 days with pastor friends, including my friend Francisco: yesterday afternoon, in a public park, opposite the church, he, the Pastor, and a lovely young lady, Linda (a local whose English is as good as her Spanish! ), they saw at least 25 people give their lives to the Lord, and then last night, Jon saw the paralysed walk, the crippled jumping and laughing, a stroke victim get out of his wheelchair… so I think Jon’s rather glad he came! I was chatting with Alan this morning: saying that, even after all these years, and having seen tens of thousands healed, it still amazes me. I EXPECT it, but I’m still utterly in awe of what God does, and what he can do. I think that, if the day ever comes when 1) I’m not nervous before a meeting, and 2) not in awe of even cold being healed, that’ll be the day I don’t do this anymore. As far as I know, I’m nowhere near that day yet!!! Yesterday afternoon, for some reason I was ‘dog-tired’. In fact, Alan had to wake me 10 minutes before I was due to be collected to go to church. On my way out, I said to him, ‘I feel so NOT like going to meeting tonight, this one must be a corker!’ It was. A living testimony, to me, at least, of God’s strength being made perfect in my weakness. Alan & Barbara remembered the name of the church they were in, too: Iglesia Cristiana Integral. (No, I have no idea how that translates, either!). 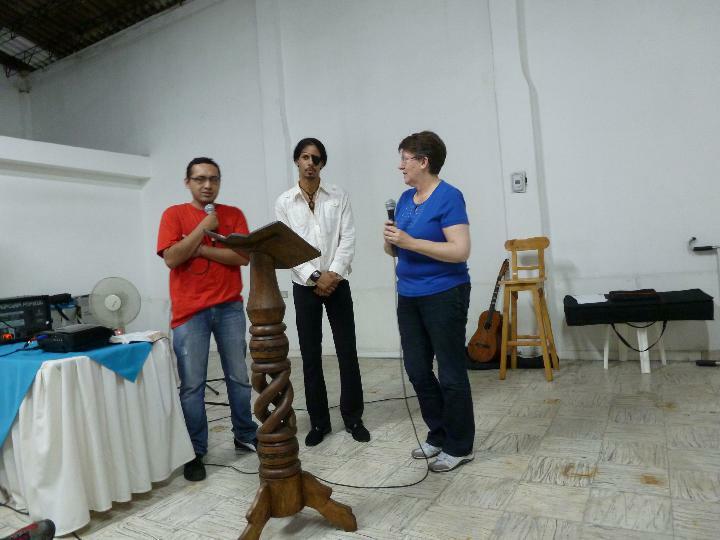 The pastor, another Diego, Diego Fernando Vivas, and his wife, Maria Fernanda Julio de Vivas, gave them the ‘floor’ so to speak, and EVERYONE got prayed for, with Alan’s ‘becoming legendary heat’ passing from him to them! As Barbara was massive healed from chronic osteoarthritic knees over 5 years ago, she got her hands on all the arthritics: I just know there’ll be some testimonies back from there. This morning, A&B have gone off to speak at a women’s meeting, in the home of the CEO of Johnson & Johnson (wonder if they’ll get any promo samples??!) 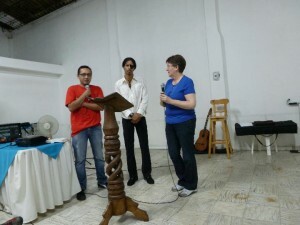 – Barbara to speak, and Alan to be her encourager, AND pray for the 17 year old son, who is autistic…. And then, later, ANA BEIBA!! Taking Barbara and Jon there for their first visits, it’ll be wonderful to see her….and her amazing home for the abandoned old people of this lovely city. Been a really good couple of days here, including some very valuable and important time spent with Pastors, building and extending our friendships and relationships, a trip for Alan & Barbara to the Children’s Foundation run by Pastor Wilmar’s church, El Abrigo. It’s an amazing ministry, totally ‘faith’ funded, and they look after around 100 kids a day, for 9 hours, feeding them, teaching them, and training them, giving them medical and dental care – in fact, today the dentist was there! It’s a wonderful place, filled with the Presence of God, despite the presence of 100 kids! 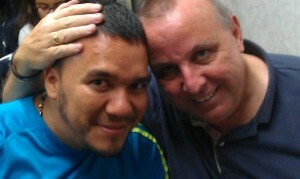 Spent a lot of time with Wilmar, and, today, with Pastor William Castaño. William is one of the loveliest, most humble men you could meet, one of the most respected pastors in the city, and such a blessing to have had him involved in organising things for me here over the past year. William is going to be looking after my programme here from now on, along with one or two long-time pastor friends of 16-17 years. William has a wonderful teaching ministry, a theology doctor (so he’s good for people like me to have around! ), and seems delighted to take over this – for me and those with me – very important role. One of the great blessings about William is that he seems to work on ‘western time’ – that is, he’s not late! Previous pastors I’ve worked with don’t seem to worry about time (which also means they don’t worry about honour), so if a meeting is due to start at 6 pm, an hour away, our pick up time would (notionally!) be 5.30 pm, rush hour, and often it seemed to happen more on Friday’s, the busiest rush hour…. one church, which was a turning point for me in moving in William’s direction, was a church pastored by a man I know, his church a good hour away on a good day: 6 pm start, a ‘5.30 pm pick-up’ which I insisted had to be 4.30, and which, in the end, turned out to be an ‘8.15 pm pick-up’. We got to the church 3½ hours late: I just can’t dishonour people like that. Bless ’em, the congregation were still there, singing, as they had been for over 200 minutes…. There was a lot more besides that, but to have a couple of hours with William today, and for him to fill in any ‘blanks’ we had left for this week, is such a refreshing blessing! Tonight, we;re at a Vineyard church, ‘La Vinia’ (unsurprisingly! 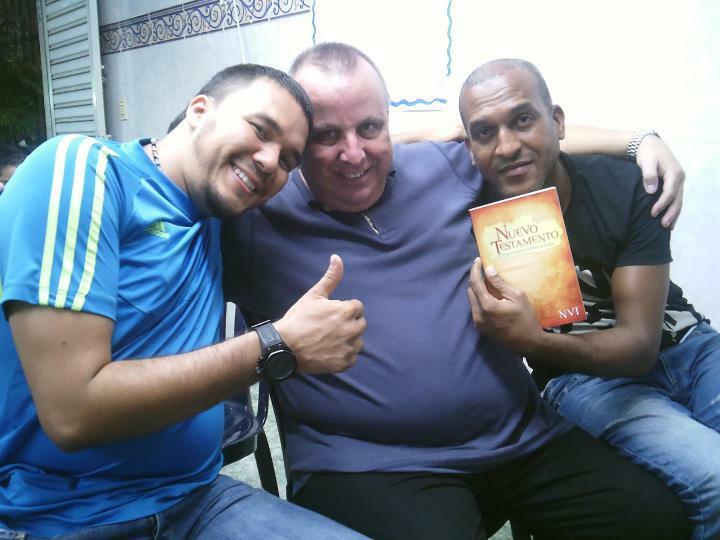 ), pastored by great friend Oskar Muñoz: it’s the church where the miracle ‘scar’ healing occurred for the translator, Omar, last time, so we’re looking forward to it immensely. Tomorrow, is another lunchtime appointment, followed by cell group meetings for a church, and the rest of the week is roller-coaster, with Barbara speaking at a women’s meeting Thursday morning (but they Alan & me there! – apparently there’s an 18 year old son with autism, so we can handle that! 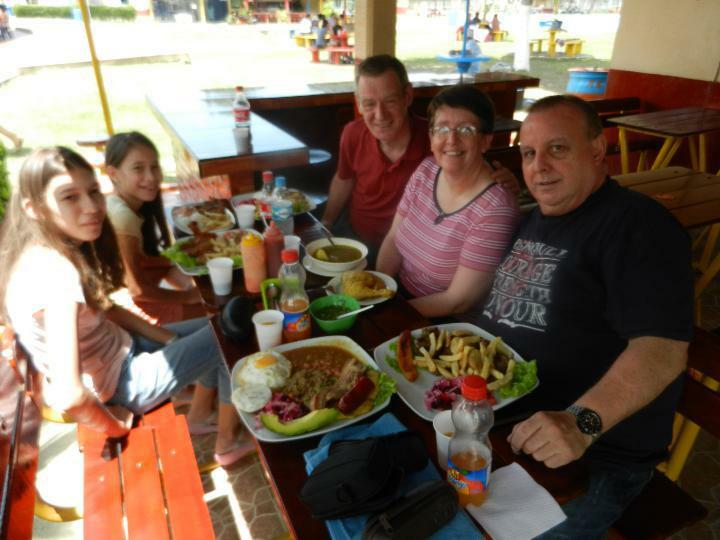 ), the drug rehab centre (Reconocer), more meetings, possibly the maximum security prison in Palmira on Friday, more church cell groups, more meetings right up (almost) until Alan & Barbara head back north on Sunday morning, and me on Monday…. Salvation, Miracle, and healing stories to follow….